Helen’s Norfolk up bringing influenced her love of the natural world. She trained in art and design at Bournemouth art school, and started out in graphic design. Sitting at a computer all day did not appeal, so she used her watercolour painting skills and her love of wildlife to develop her career in art. Now she gains commissions linked to her passion for wild life and conservation. In addition to this she teaches adults water colour painting. Helen’s taster and tips demonstration was seasonal being based on ‘autumn’. ‘Light to dark’, ‘soft to sharp’. · Know your paints, each manufactures colours work differently. · Note the direction of light and paint accordingly. · Avoid going in with heavy with paint. · Start soft and misty. · Apply clean water with an ample brush, creating a damp surface and not a puddle. · Start with very dilute paint and allow the highlights to show through. · Remove drips with a clean brush by lifting off the blob of paint. · Allow the paint to dry before applying more layers; a hairdryer can be used to speed up the process. · Dampening the paint surface with clean water, before adding a second layer of paint in this way tones can be built up. 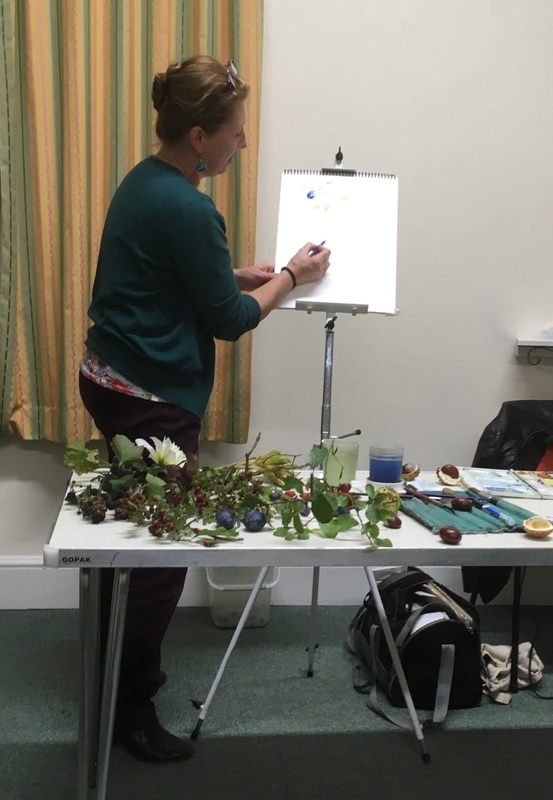 · Paint leaves before twigs, Helen favours sap green, which can be glazed over with yellow to create light effects, and the dark areas can be glazed over with blue. · Twigs use a rigger to apply clean water to where you want the twigs to be; once the paint hits the water you create a snail like effect. · Trees look at the colour, pattern and texture and use that knowledge to paint a tree, do not paint individual leaves. 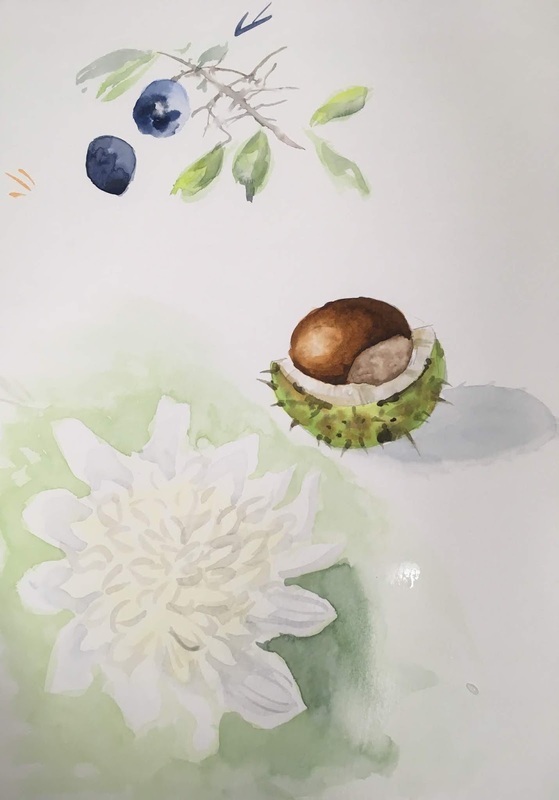 · With flowers start drawing in the middle and work outwards. · Sharp edges are done on dry paper. · Backgrounds give context so negatively paint around the flower. · Neutral Tint is used to darken paint without changing the colour. A big thanks you to Helen for a very informative evening. Helen's demonstration (though aimed at the beginner in watercolour) was very comprehensive and all of us came away having learned something new about the medium.